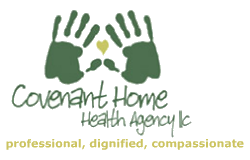 Refer a friend or a family member to Covenant Home Health Agency LLC. To submit your referrals, please use the form below. The information you submit to us online will be treated as private information and will not be shared with third parties.